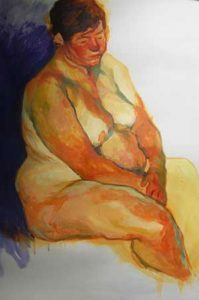 Come along every Tuesday 7pm – 9pm at Cabaret Voltaire and enjoy a relaxed evening of untutored life drawing accompanied by a great soundtrack. We usually have 3 or more models posing for various lengths of time so you can take your pick. 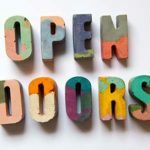 Beginners and professionals equally welcome. We have boards and a well stocked ‘borrow table’ as well as some lovely sketchbooks and other materials available to purchase on the night. Keep creative over the festive season and jolly to Fife for an afternoon of creative life-drawing, colour splashing and experimenting. 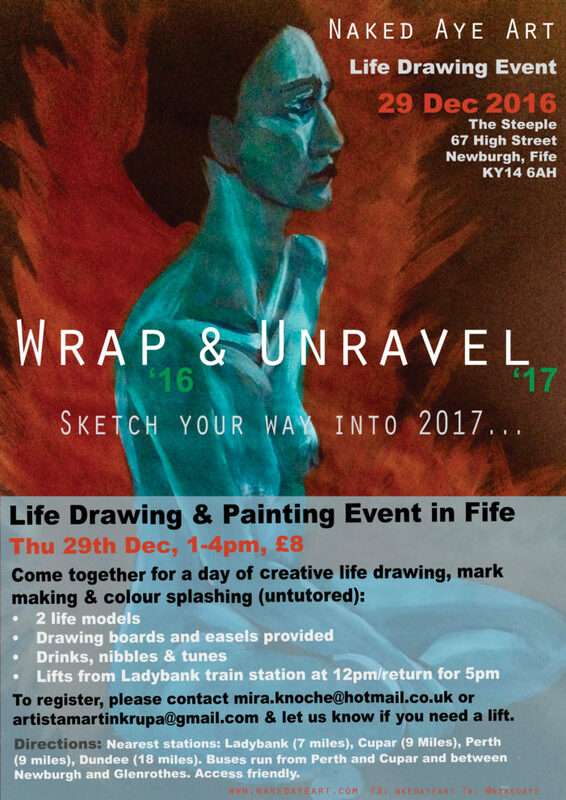 Figurative artists in residency, Mira and Marcin (Naked Aye Art collective) warmly invite you to join their open-to-all (untutored) life drawing event at The Steeple in Fife, on 29th December. Two models will be sitting for us over the course of the afternoon, one male and one female (who is currently pregnant). 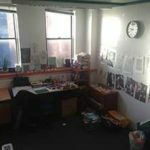 Drawing boards, easels, nibbles, drinks and tunes will be provided. Feel free to invite friends & newbies. To book a place or if you have any questions, please contact mira.knoche@hotmail.co.uk or artistamarcinkrupa@gmail.com. See also the Facebook event here: facebook.com/events/224256734666194/. How to get there: For directions, please see the website: waspsstudios.org.uk/space-hire/artist-space/the-steeple-newburgh/ Limited spaces for lifts from Ladybank train station at 12pm and return for 5pm are available, first come first served. Please let us know if you need a lift.